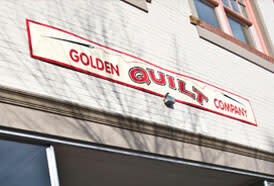 Golden Quilt Company, located in downtown Golden, is the place to shop for the twenty-first century quilter. Golden Quilt Company has over 1,000 bolts of quality quilting fabric, patterns, books, notions and gift items for all skill levels from beginner to advanced. Sign up for a class or purchase a kind quilt on display. Long-arm quilting services are also available. They offer a large selection of quality quilting fabrics, supplies and classes. They also have an Etsy Shop where you can view and purchase our quilts online. 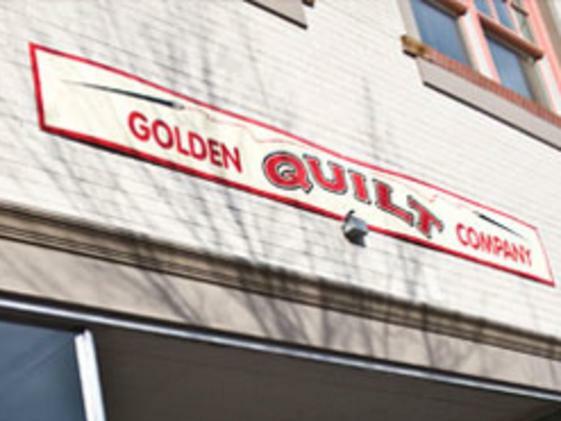 Golden Quilt Company carries a huge selection of black/white fabrics and has the largest selection of Kaffe Fassett fabrics, as well as the best batik selection in the state of Colorado. 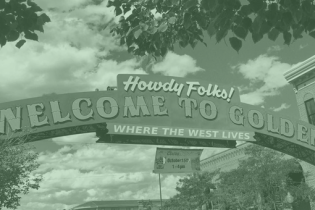 Golden Quilt Company opened on November 15, 2004 and is committed to providing superb customer service in a pleasing and relaxed atmosphere.